^ Jewish Museum Berlin. 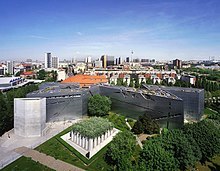 "Jewish Museum Berlin – Daniel Libeskind". Archived from the original on October 13, 2007. Retrieved February 25, 2009.